What student doesn't need cash back on purchases or their credit card company to know they're students and cater to them? Discover it® Student chrome (This card is not currently available on CardRatings) does just that. It shares some of the same features as all Discover cards, such as the coveted 0 percent intro APR for six months on purchases, but it also offers six months of no interest on balance transfers - that's a rarity among student credit cards. Discover it® Student chrome offers one major change from its Discover it® Student Cash Back: Discover it® Student chrome gives students automatic cash back without having to activate the quarterly categories. Yes, the percent of cash back is lower at 1 percent and 2 percent (as compared to up to 5 percent with the Discover it® Student Cash Back), but you'll earn that cash back without the burden of remembering to activate the perk every quarter. 2 percent cash back at gas stations and restaurants up to $1,000 in combined purchases each quarter, automatically. 1 percent cash back on all other purchases and on gas station and restaurant purchases after you reach the quarterly cap. 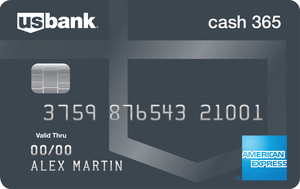 Earn a MATCH of all the cash back earned at the end of your first year (new cardmembers only). Get $20 statement credit each school year your GPA is 3.0 or higher for up to five years. Rewards are all yours and you can redeem them in any amount, at any time; they never expire. The rare student card that offers cash-back opportunities: 2 percent back at restaurants and gas stations (up to $1,000 each quarter) and 1 percent back on all other purchases. 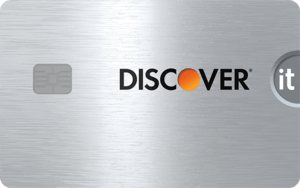 Plus Discover will MATCH all the cash back new cardholders earn during their first year. If you procrastinate just a little too long and miss a payment, that's ok – Discover will waive the late payment fee for your first missed payment (just don't make a habit of it). Earn a $20 statement credit each year (for five years) your GPA is a 3.0 or higher. If you don't spend much on eating out or at gas stations, you could earn more cash back with a student cash-back card, such as Journey® Student Rewards from Capital One® that offers bonus cash back with no annual fee or foreign transaction fees. The automatic cash-back rewards on gas and restaurants are what struck a chord with us first. With classes, schoolwork and socializing, college students are crazy busy and have enough to deadlines to remember without keeping up with a quarterly need to sign up for rewards. The Discover it® Student chrome removes that hassle from your to-do list. Cardholders earn 2 percent back on gas and restaurant purchases up to $1,000 each quarter, and 1 percent on everything else. Those 2 percent categories are perfect for the road-tripping college student or even just for quick weekend drives home to see Mom and Dad. Another attractive feature is that all the cash back you earn in year one, will be matched. So not only will students get paid to buy everyday items, you'll see that cash back amount jump up at the end of the year. Think about, if you earn $150 in cash back in your first year, that will automatically become $300 at the end of your first year. What's another sticking point? Students can pay their bill up to midnight the day it's due - perfect for night-owl college kids who have been known to procrastinate from time-to-time (or at least, I seem to remember that from my days as a co-ed). We also love the gift of no fee on your first late payment because what college kid hasn't forgotten a payment? There's also no over-limit fee and no foreign transaction fees, so feel free to tote this card along on your study-abroad semester. Lastly, one more biggie: Paying late won't raise your APR. While Discover it® Student chrome offers a ton of perks for college students, the low cash-back rates stand out as a downside, especially if you are a big spender in categories other than gas and restaurants. The difference between 1 percent and 5 percent offered by Discover it® Student Cash Back can add up fast. Having rotating categories allows you to plan your spending habits to maximize your rewards. If you enjoy higher rewards and spending strategically, the Discover it® Student Cash Back might be a better fit for you - as long as you're organized enough to handle the quarterly sign-ups. 2% cash back at gas stations and restaurants on up to $1,000 in combined purchases every quarter - no sign-ups needed. Neither have annual fees, but the Citi ThankYou® Preferred Card for College StudentsCiti ThankYou® Preferred Card for College Students (Citi is a CardRatings advertiser) has bonuses that are attractive, such as earning 2,500 bonus ThankYou® Points after spending $500 within the first three months of your card membership. Similar to Discover it® Student chrome, the Citi ThankYou® Preferred Card for College StudentsCiti ThankYou® Preferred Card for College Students offers two ThankYou® Points per $1 spent on purchases for dining at restaurants and entertainment, and one ThankYou® Point on other purchases. Points earned with this card do not expire. Citi does not offer the matching cash-back offer or the $20 good GPA statement credit; additionally, if you do a lot of spending at gas stations, you're likely better off with Discover it® Student chrome. Though the cash back isn't as high with the Journey® Student Rewards from Capital One®, you are financially rewarded good behavior with a 25 percent boost in cash rewards if you pay on time, as well as a higher limit if you pay on time for your first five months. You also get to choose your own due date. Unfortunately, the Capital One Card does not offer your FICO score free, or let you use points at amazon.com checkout like Discover it® Student chrome. Still, if you don't spend disproportionately on gas and restaurants (or perhaps you easily reach the cap in those categories and your cash back would revert to 1 percent), the Journey® Student Rewards from Capital One® could be a solid option for you with its opportunity to earn 1.25 percent on all your purchases as long as you pay on time. This decision will come down to whether you think you'll maximize the rewards offered in the bonus categories with Discover it® Student chrome or if you prefer more flat-rate rewards. 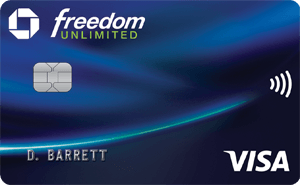 This card is designed specifically for students who don't have time to sign on to activate rewards every month. These students, however, spend money on food and gas, so having these categories offer bonus cash back if they use their Discover it® Student chrome card is ideal. It's likely not the best choice for people who relish the opportunity to strategically use their credit cards to rack up maximum rewards in categories that change quarterly, but for the average college student it's an above-average option.